As musicians, what we do is inextricably linked to our body and mind. We use our body in order to produce sound, and we use our mind to put emotion and intention into the sound that we make. This is what allows music-making to be so personal and unique to each individual player or vocalist. Therefore, it’s extremely important to take care and nurture our minds and bodies in order to improve on the instrument and excel musically. Doesn’t it sound appealing to find ways of improving on your instrument without actually having to practice any notes? 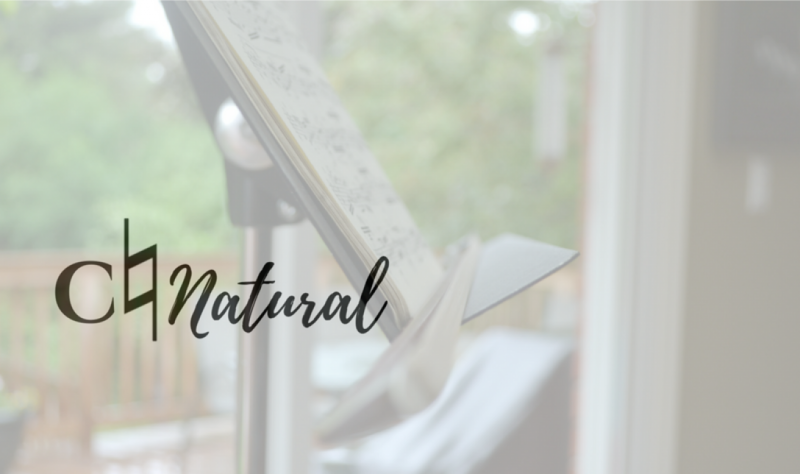 Today, I want to suggest that ‘practicing’ doesn’t have to be limited to work with the instrument or even to designated time spent with the score such as mental practice. By segregating practicing from ‘everything else’, you don’t acknowledge the importance that everything else has on your performance. For example, developing efficient practice strategies won’t help you in the long run if you don’t also eat well, exercise and take care of your body. Practicing is a mindset you bring with you in everything you do. It’s not just about the time you spend in the practice room with your instrument, but the way you approach everything in your life. This includes your sleep, food, social and physical activities, and the impacts of stress. When I first started writing this post, I thought it would be beneficial for musicians to think of themselves like athletes and take care of their bodies in a similar way. But that sort of thinking doesn’t acknowledge the disparity that currently exists between our thinking of athletes and musicians. In order to really start comparing the two, music education needs to show how essential music performance psychology and musicians’ health is for musicians in the same way that sports psychology and training is for athletes. We have to fundamentally change how we view the making of music so we aren’t trying to make musicians think and train like athletes but instead have musicians train like musicians. Musicians know how strenuous and physical performing and practicing can be, but now we need to actually take care of our bodies in a way that reflects that. We need a holistic approach to our health as performers, in such a way that we include physical, mental and social aspects. This means considering everything we do as contributing to our development on the instrument. If you’re seriously injured, I’m sure you’ve already realized the impact of injury on everyday activities. During the first year of my injury, I felt pain turning doorknobs or taking a spin class because of the added pressure to my wrist. I was constantly thinking about how activities away from the instrument would impact my playing and began to avoid chopping sweet potatoes and washing dishes so that I wouldn’t aggravate my injury. Pretty quickly, these everyday activities began to take on negative connotations and I lost enjoyment in many of them. I exercise more regularly and spend time outside everyday. I used to be on sports teams in high school, but when I came to McGill, I stopped exercising regularly because I was so focused on playing and practicing. In the past two years, I’ve gotten back into regular physical activity through swimming and cross-country skiing. This semester, I joined a swim club and in February, I participated in the Canadian Ski Marathon, skiing 40 km in one day. I also try to go to one yoga class a week and am on two intramural inner-tube water polo teams. I notice a huge difference in my mood and the pain in my wrist when I don’t exercise or spend time outside everyday. I even read a study recently that showed how physical exercise has huge benefits for Musicians’ Performance Anxiety (MPA) both as part of your pre-performance routine and as a regular part of your training in the weeks leading up to a performance. Training for the Canadian Ski Marathon during the winter break this past January. I stretch regularly and warm up before playing. During Musicians’ Health Awareness Week at McGill, I was told that healthcare professionals now recommend to stretch only after you play and warm up your body before you play by running up stairs or going for a walk. If it’s a cold day outside, I’ll spend some time jumping around a bit in my practice room or take the stairs a few times. Then I like to do a few yoga flows to focus and get my blood flowing. At the end of my practice, I take at least 5 minutes to do some static stretching for my neck, pecs, arms and hands especially, but also my legs and hips, which I find get locked and tense while I’m playing. Bring a yoga mat into the practice room with you! I’ve taken classes outside of the music school to broaden my interests, and I spend time reading and developing other interests. In 2015 when I got re-injured after a summer festival, I started spending a lot of time cooking and making my own butters, hummus, and granola. This past fall, I took a class on Feminism and Social Justice and a history class on Natives of the Americas; both of these classes sparked an interest in social justice issues and sustainability, so I’ve started reading all kinds of books in my spare time (which is mostly during breaks from school) and getting more involved on campus. I’ve had two colleagues recently start taking ballet lessons and I know musicians who have taken up photography, painting, and cooking. Instead of thinking about these new experiences as taking time away from practicing, think of them as ways of nurturing the different parts of yourself. Rupi Kaur’s Milk and Honey and my cactus, Eleanor Rigby. I eat more plant-based foods and less meat. This has meant cooking a lot more than I used to and eating less processed foods. I’ve done this to benefit my own health but also as a way of eating more sustainably, both environmentally and economically. There are tons of vegan and plant-based cooking blogs and cookbooks to chose from. Check out my favourites, Deliciously Ella and OhSheGlows for inspiration. I hope to post some of my own recipes on this blog too! Green Saturdays feat. avocados and kale. I reinvented my mental practice and spend more time doing it. Mental practice can mean so many things, but I think a general definition is practice methods that engage your brain and your focus. For me, this has involved singing my part with the score, listening and studying the score, visualization both of the performance and the score for memorization, air-playing, and scheduling my practices carefully. A friend who plays the oboe once told me that she spends as much time every day making reeds as she does practicing, and I think this type of ratio could easily be applied to mental practice. I’ve also incorporated mental practice into my physical practice, and tried not to think of them as separate ways of practicing. By alternating between the two as you play, you’ll improve the efficiency of both. Studying my part for Dvorák Bass Quintet with breakfast tea from Café Nocturne.